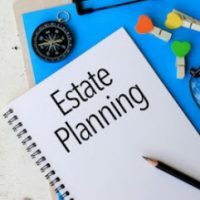 When a person passes away and they still have assets in their revocable living trust, the successor trustee, or fiduciary, will likely need legal help to get the trust settled. It is important to understand the duties of the fiduciary under Florida laws. These include the duty to account to beneficiaries, duty of fairness, duty of impartiality, duty of prudent administration, and duty to administer the trust. Most people that take on this role do not understand the legal duties they need to perform to administer the trust because they’ve never served in that capacity before. Florida law and federal laws specify that the fiduciary must file a Notice of Trust with the probate court, obtain an EIN for tax issues, deposit the last will and testament with the probate court if there is one, and inform the beneficiaries of the trust. In addition, there may be advanced actions that the trustee must take. These include administering the trust fairly to all beneficiaries, investing the assets of the trust correctly, make sure the taxes and bills of the decedent are taken care of, and administer the trust in a timely manner. There are plenty of misunderstandings and mistakes that can happen when the fiduciary isn’t certain how to handle their duties. It is also possible that the beneficiaries of the trust may not see eye to eye on how things should be handled. When the family starts to argue about matters, an experienced estate planning attorney can help settle such issues. An experienced attorney can help the fiduciary properly account for all the assets and trust administration, determine an adequate fee for the fiduciary’s work, release the fiduciary from their liability to serve as trustee, determine how to liquidate the assets of the trust, and determine any taxes issues for the trust. If the fiduciary fails to perform their duties correctly, the family will likely hire their own attorneys and lawsuits may be filed. This could result in the fiduciary being responsible for any outstanding taxes and bills. Trust complexity and size – the larger the trust, the more likely you are to need an attorney help settle the trust. Number of beneficiaries – the more beneficiaries there are, the more likely there will be a disagreement to create additional legal issues. Outstanding bills – if there are numerous bills, the fiduciary may need assistance in ensuring that those bills and taxes get paid. Difficult beneficiaries – if the family doesn’t get along, the fiduciary will likely need assistance in getting the estate settled. Trustee fee – If the fiduciary wishes to collect a fee for their work, an attorney can help make that happen. Tampa attorney David Toback has been helping clients plan and settle estates and trusts for decades and he can help you too. Settling an estate is a complex ordeal and emotions run high. He can ensure that the process goes as smoothly and quickly as possible. Contact the office of David Toback today to schedule a consultation.